Better Choices For Better Health! I was recently interviewed by Pastor Jody Earley of Generations Church in Denver, CO. It was part of their new year’s series, Better. I shared how anyone can take steps toward better physical health in a sustainable way. And why we should be so concerned about doing so. Additionally, I was asked how we could take simple steps towards better family relationships. That was like throwing steak to a dog—you know I love that subject! I hope you enjoy this video. At the end, I give a link to some resources that will help you make better choices for better health this year. How To Give Mom The Encouragement She Deserves All Year Long! It’s Mother’s Day! So in honor of moms, I’m posting a day earlier this week with some simple but great ways to encourage moms as they deserve and need. It’s more than cards and candy. And it works not just on Mother’s Day but every day of the year. 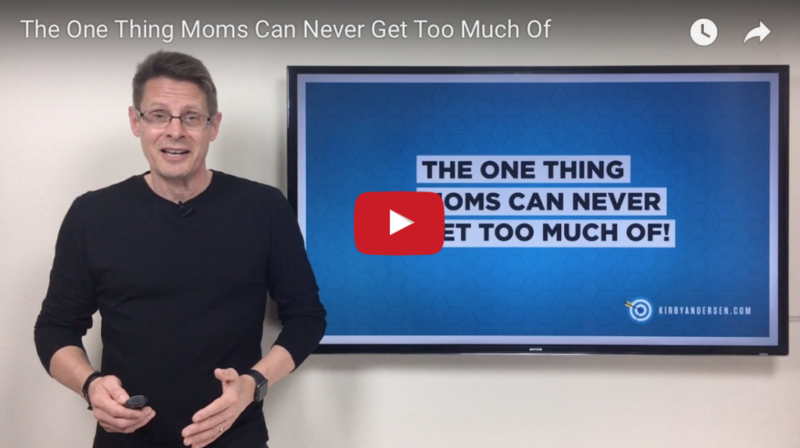 Check out this week’s video and blog post, The One Thing Moms Can Never Get Too Much Of. 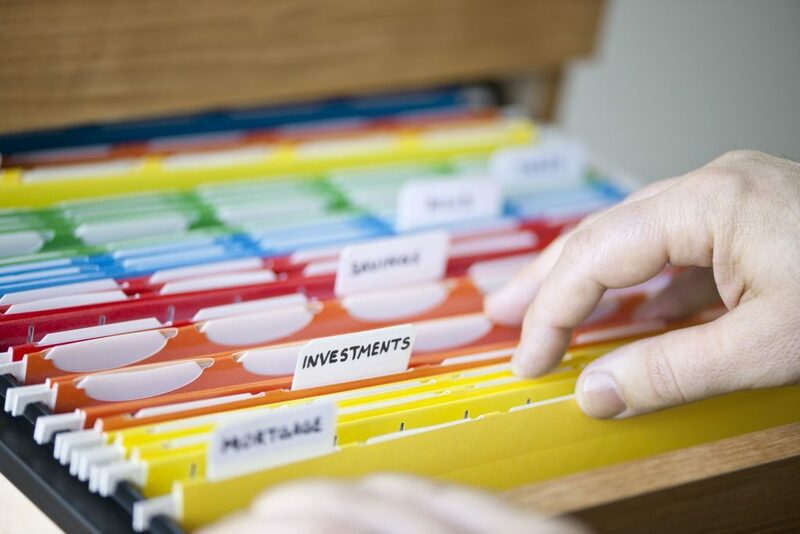 Keeps you and your spouse current on anything important or interesting to the other. Allows you both to feel more connected as partners in all aspects of life together. Creates a greater sense of security in your kids. Presents a model for your kids to follow when married. 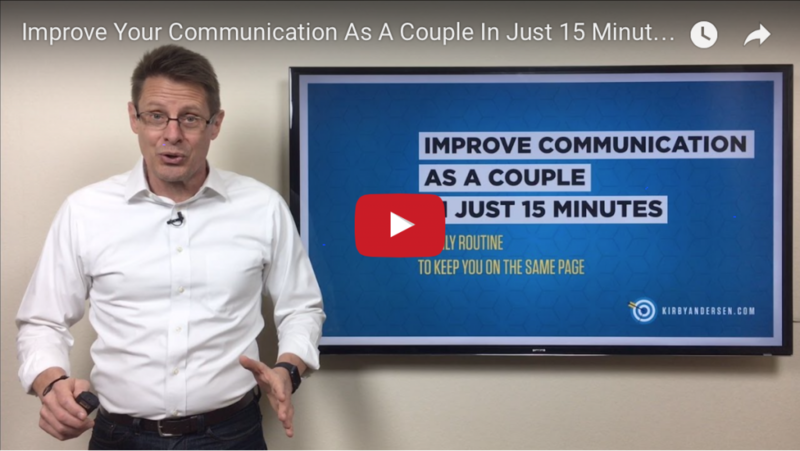 I explain it all in this video: Improve Your Communication As A Couple In Just 15 Minutes. Better Than Valentine’s Candy And Flowers! Well, maybe don’t skip the Valentine’s candy or flowers! But Valentine’s Day is a great time to sharpen the skills that will make your marriage even better. One of those vital skills is communication. 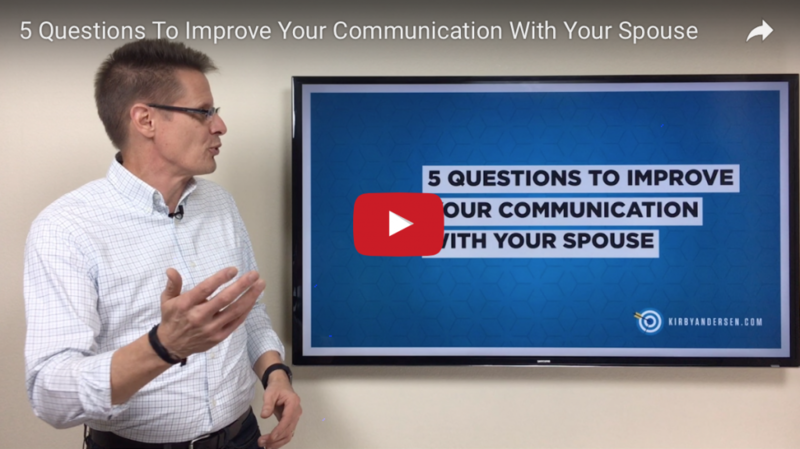 That’s why I wanted to share 5 Questions To Improve Your Communication With Your Spouse. 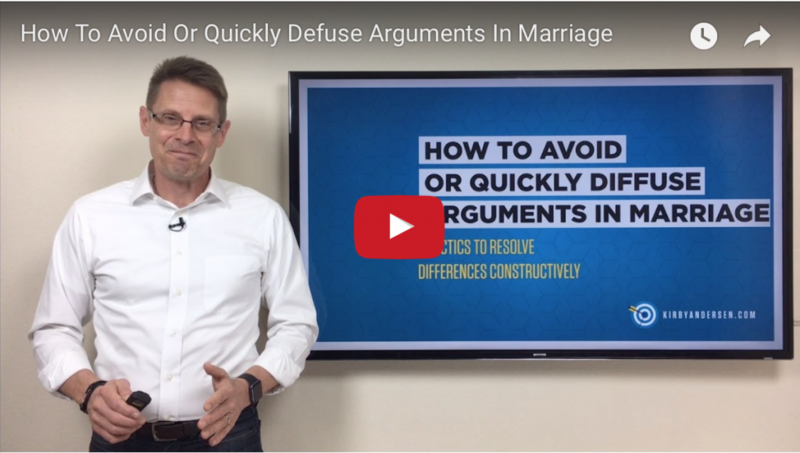 It’s easy for married couples to eventually neglect little courtesies and signs of affection. 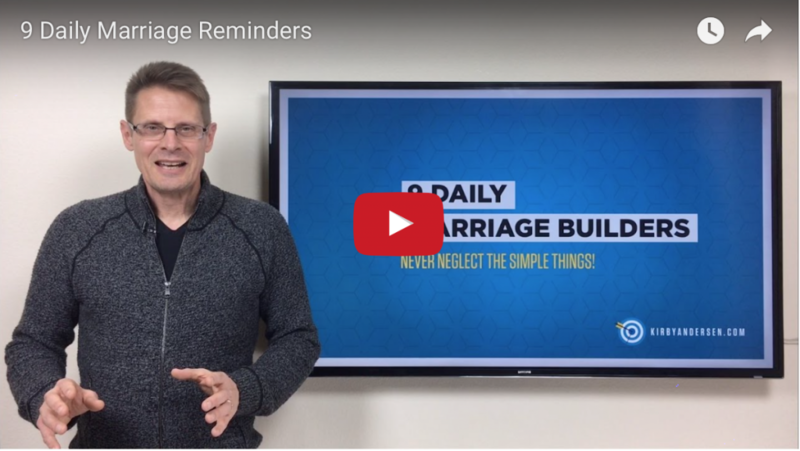 Shock your spouse starting today by reviving one or more of these 9 Daily Marriage Builders! No, it’s not chocolate—although that may be true for some and all probably deserve! It’s encouragement. Plain and simple. 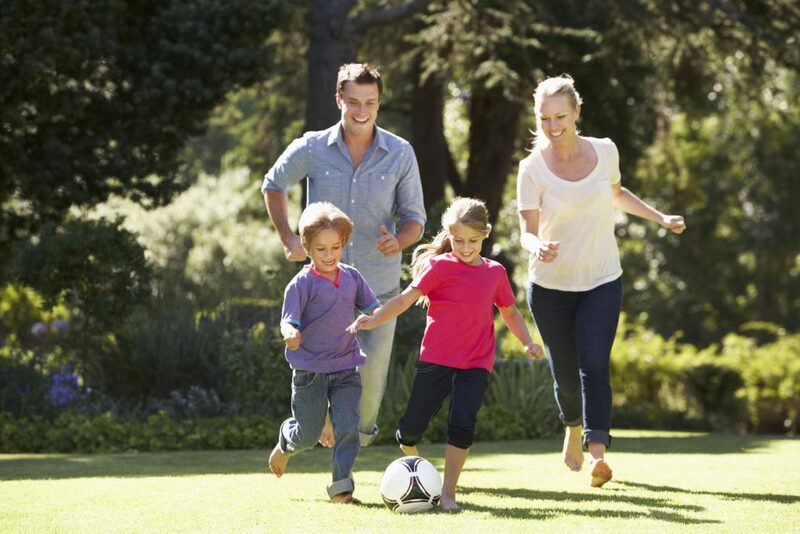 When Is The Best Time To Establish A Weekly Family Time? Ever have thoughts like time is flying by faster than you thought it would? The kids are growing up way too fast? Are we building the family memories that all of us will treasure years from now? I’ll bet I’m not the only one who’s lost a bit of sleep over those types of questions. It doesn’t necessarily mean we’re doing something wrong. It does mean we’re conscientious enough to be concerned about the kind of family culture and memories we’ll be proud of. Thanksgiving is such an amazing holiday for so many reasons. It starts one of the longest weekends of the year. It kicks off the Christmas season in many ways. And for many, it’s a time to reconnect with family and friends that we don’t get to see as often as we’d like. 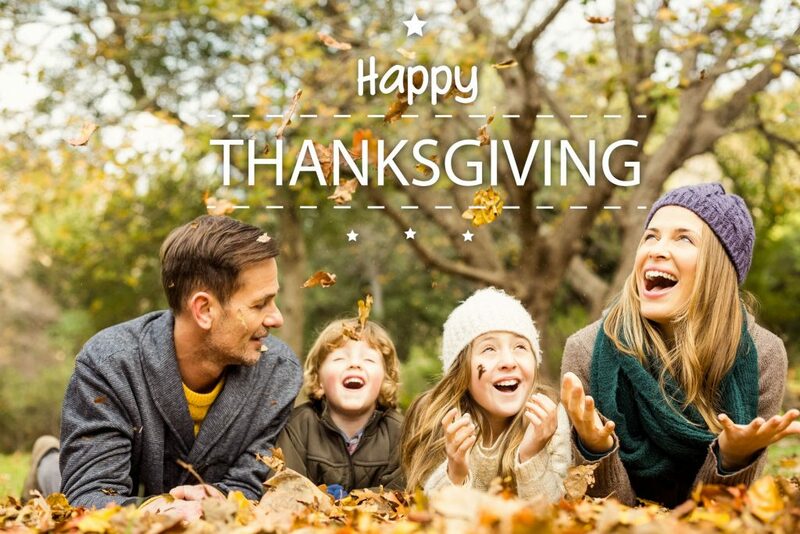 But the actual Thanksgiving Day can be a mixed bag. It can be filled with miscommunication, overcrowding, and a few being overworked. Put a bunch of people in close proximity for an extended time, each with their own idea of what the day should be like, and you’ve got the makings of a stressful and disappointing day. Part of living wisely is remembering our time here is limited. We all had a start date and there will be an end date. It generally comes unexpectedly and consequently impacts those closest to us in a huge way.